East Stirlingshire strolled to a comfortable 3-0 win on Saturday, dispatching of relegation battling Whitehill Welfare at Ferguson Park. 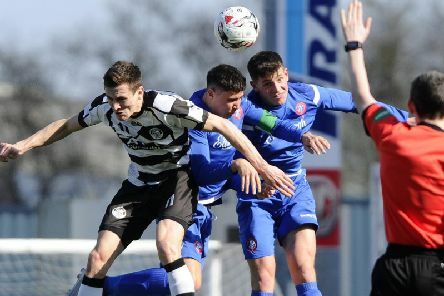 East Stirlingshire boss Derek Ure hailed his side’s “excellent” performance as they swept Vale of Leithen aside in a 3-0 victory at Victoria Park on Saturday. 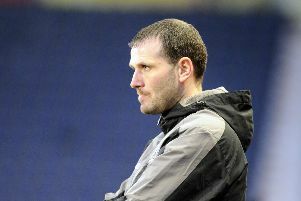 East Stirlingshire’s good form came to a dramatic halt in this defeat at The Falkirk Stadium. 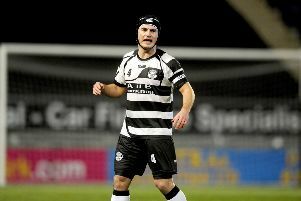 East Stirlingshire’s seven game unbeaten run was ended in dramatic fashion as they succumbed to a 4-3 defeat at the hands of Civil Service Strollers on Friday night. 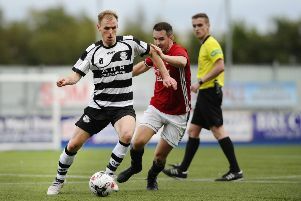 East Stirlingshire left it late as they salvaged an unlikely 2-2 draw against Gala Fairydean Rovers at Netherdale on Saturday. 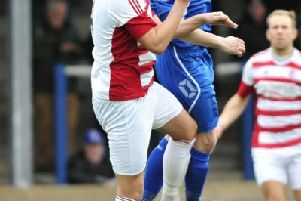 East Stirlingshire saw their South Region Challenge Cup run come to an end at the hands of junior heavyweights Bonnyrigg Rose Athletic on Saturday in a fiery clash littered with fouls. 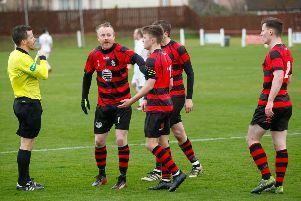 East Stirlingshire secured a comfortable win against the ten men of Dalbeattie Star on Saturday thanks to goals from Andy Rodgers and Ross Allum. 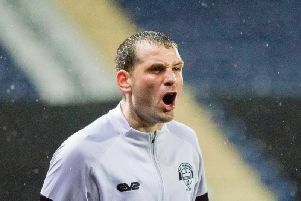 East Stirlingshire survived a late scare against ‘managerless’ Gretna 2008 as they claimed all three points in a 2-1 victory at a waterlogged Raydale Park. Andy Rodgers inspired an unlikely comeback on Saturday as East Stirlingshire drew 3-3 in a frantic game with Barry Ferguson’s Kelty Hearts at the Falkirk Stadium. 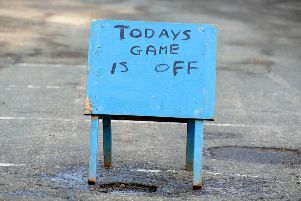 Frozen pitches have forced football cancellations for Camelon Juniors and East Stirlingshire. 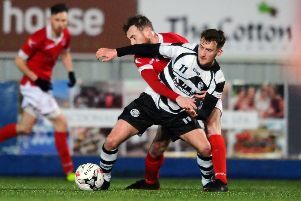 The hoped for long march back up the Lowland League table resumes for East Stirlingshire on Friday when they travel to Edusport Academy, with gaffer Derek Ure claiming there is no magic formula for achieving their aim other than, “hard work”. 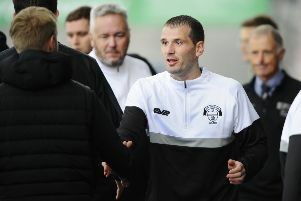 East Stirlingshire manager Derek Ure says league position is "embarassing"
East Stirlingshire manager Derek Ure this week admitted his team’s Lowland League position was “embarrassing” after watching them slide to yet another disappointing defeat. Derek Ure remembers well the arguments that top junior sides like Linlithgow Rose would be too strong for the East Stirlingshire team he played for in the Scottish Football League. East Stirlingshire could close the gap on second top East Kilbride to just three points if Shire win their Lowland League visit to K Park on Saturday. 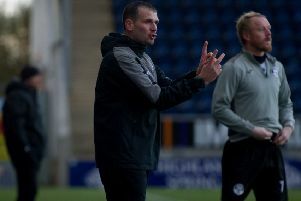 Derek Ure has to be hoping that it’s the ‘good’ East Stirlingshire that turns up on Saturday as his side resumes Lowland League action at the Falkirk Stadium, writes Tadek Kopszywa. 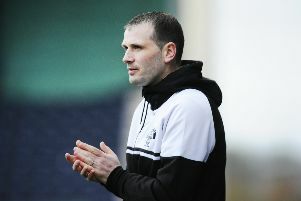 It’s only three weeks since East Stirlingshire last faced Gala Fairydean Rovers, but manager Derek Ure believes his team have moved on to a different level since then as they prepare to match up again in Saturday’s Scottish Cup Second Round tie at Netherdale. East Stirlingshire progressed to the next round of the South Region Challenge Cup on Saturday with a hard fought 3-2 win at home to Lowland League rivals Kelty Hearts. East Stirlingshire failed to build upon their recent cup form after succumbing to a comprehensive 3-0 defeat to a clinical Gala Fairydean at Falkirk Stadium on Saturday.